Welcome to Aegean Resort. 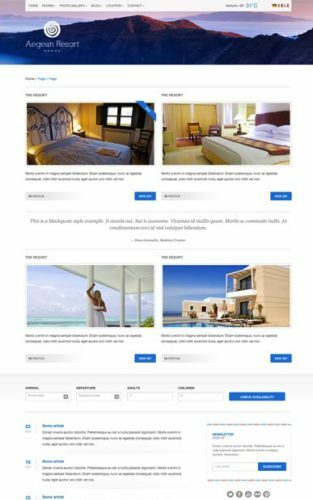 Our beautiful responsive WordPress theme specifically designed to showcase your hotel / resort in style. Enjoy your stay. Aegean resort is a responsive theme. Serve a better experience for your mobile visitors. Features include rooms management, photo galleries. booking form, online booking module, shortcodes and more.